31 July 2013, 09:09 a.m.
What sets apart the fastest-growing small businesses is their innate strength at turning data and information into results. It’s becoming easy to spot a smaller business who is going to break out and grow quickly. They often have these qualities: they highly value knowledge, expertise and speed over seniority or cronyism; they have successfully managed a geographically distributed supply chain, production and service operations early in their history; and long before they reach $20M in sales they have learned how to balance domestic and international customer demands. In short, they learned fast how to compete and win business globally. Over the last several months research firms and enterprise software vendors have released studies on cloud computing adoption in small & medium businesses (SMBs). 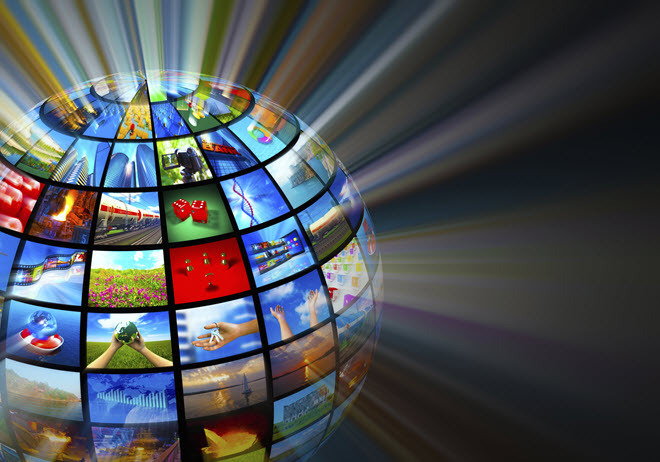 Cisco predicts the U.S. SMB commercial-services market addressable by service providers will grow to more than $200B by 2015. Also included is an analysis of how fundamental differences in business segments drive IT behavior, as the following table illustrates. Source: What Do SMBs Want from Commercial-Services Providers? Insights from Cisco’s U.S. Research on SMB Services Delivery Link:http://www.cisco.com/web/about/ac79/docs/sp/SMB-Cloud-Survey.pdf. Please click on the image to expand it for easier reading. Hosting and cloud services provider Parallels projects that the worldwide SMB SaaS applications market was $14.5B in 2012 today and will grow to $33.8B by 2015, attaining a 32% Compound Annual Growth Rate (CAGR). Please see the following illustration of a breakdown by region over the forecast period. 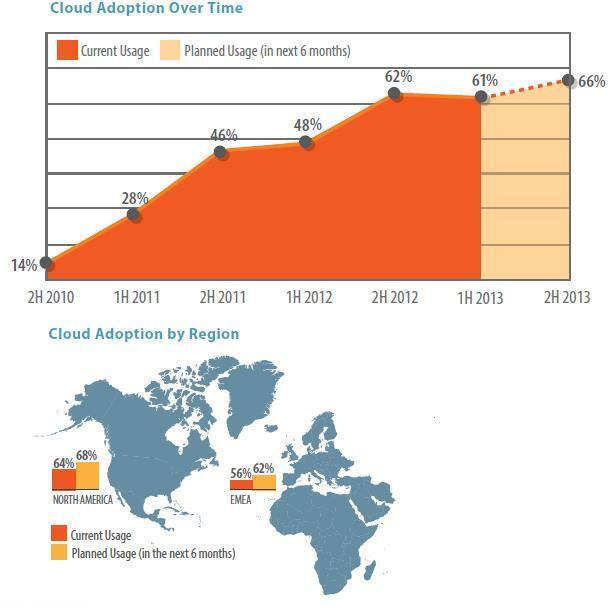 Source: Profit from the Cloud 2013 Global Parallels Global SMB Cloud Insights Opt-in required, Link: http://www.parallels.com/fileadmin/parallels/documents/smb-reports/2013/2013_SMB_Brochure_Global_web.pdf. Please click on the image to expand it for easier reading. The latest research note from Bain & Company predicts revenue growth for SaaS companies will triple between 2011 and 2014. The note also includes a revenue projection by category and is shown below. Source: The cloud reshapes the business of software by Ravi Vijayaraghavan http://www.bain.com/Images/BAIN_BRIEF_The_cloud_reshapes_the_business_of_software.pdf. Please click on the image to expand it for easier reading. SMBs prefer to lease or pay for use of the cloud (43%) rather than buy or acquire (23%) across all industry, regional, company size, and profitability groupings in an SAP-sponsored survey by Oxford Economics. The study found that the tools most commonly used by SMEs are business management software (48%), mobile (46%), and analytics (44%). Cloud computing adoption is expected to jump from 35% to 47% in three years. An infographic summarizing the results is below. You can get the survey results here: http://cdn.news-sap.com/wp-content/blogs.dir/1/files/SAP-SME-analysis-presentation.pdf . Please click on the image to expand it for easier reading.